Fastlane 2017 is in the books and it was bad. RAW has consistently shown that the only reason it exists is that it is the more well known of the shows WWE has on TV. Going back to when Vince relinquished some of his power to his daughter Stephanie you can track the decline. Stephanie is a believer that professional wrestling can be NBC level dumb commercial entertainment and that some former major network writers can make that happen. They want big sponsors, mainstream watered down commercial success, and she wants to recognized by her TV peers as a legitimate executive. None of that in the wrestling business lends itself to success. It’s about wrestling built by storylines that are simple and consistent. Stephanie and Vince have been more vocal as the years go on about how they view professional wrestling fans as “blue collar workers who hate their bosses” and “people who don’t know what they want”. They have stated that actual sports entertainment fans are smarter in a variety of ways. The fact is that the fans still want to suspend their disbelief, but it’s impossible when WWE is more concerned about filling three hours of TV with God awful dialogue and random, short term garbage feuds. The fans still want wrestling. It’s why WWE exists and even during the Attitude Era it was all about wrestling and feuds between talented workers. Now, it’s about pre-written commentating with Vince screaming in their ears and you can see them sometimes actually reading off scripts. Watch Shane jump off the hell in the cell cage at last year’s Wrestlemania. You can see Michael Cole reading the words “for the love of Mankind” off a script written by “creative”. The same writers who penned this crap are the ones who actually wrote that Dolph Ziggler was going by the name “Ziggles” years ago. WWE is still leeching off the Attitude Era and even for its cheesiness, the Rock and Wrestling era. Why? It’s because fans buy the network to watch those shows and not the current jar of TV monkey urine we are forced to drink. When the interest fades in those eras what will they do? All they have left are the later years of poorly written, badly scripted shows. Who’s going to be nostalgic about that? Not me. Want to maximise lean muscle and strength gains so you look like your favorite WWE wrestlers? Last night WWE crapped out Fastlane. It was a throwaway special event that set the RAW show back a year at minimum. Let me explain. Charlotte lost her first PPV match last night and ended her unique and legend building undefeated PPV streak. Wrestlemania is literally right around the corner on the calendar and they gave it away here so Sasha could face Bayley with Charlotte possibly thrown in there. Charlotte may have been in the doghouse for the past few months, but if she is why in the hell would they give us Bailey and have her only big wins be with the help of someone else. It’s simple. 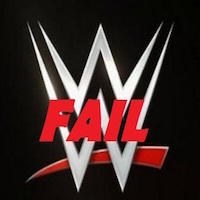 It gives WWE an out clause when they quickly switch back to what they want. That is why. Period. We don’t get to keep what we want. Kevin Owens got demolished in quick fashion via the Oldberg squash. I am a Goldberg fan and I am happy for the guy, but I don’t think crushing one of your best heels in the company is good business. Jericho distracted him so that they could face off at Wrestlemania, which will be a good match regardless of it only being for the US title. Brock Lesnar may actually kill Goldberg if he can’t take The Beast Incarnate’s heavy offense. Lesnar is champion, Bob’s your uncle, and we have another relic ruling the roost part time. Ladies and gents, do not expect Roman Reigns to lose to The Undertaker at Mania. The writing is on the wall after beating a monster we came to accept in Braun Stroman. What should happen is for the match to see Roman almost win dozens of times, lose, get up humble, and Taker to celebrate one last time. What will happen is “Ooohhh Ahhhhh”, spear, spear, spear, spear, Superman punch, spear, and Reigns pins The Undertaker. Vince McMahon loves big sweaty men. I stole that from King Ross. I’m a dirty mark. Enzo and Cass lost and thank God. The Club hasn’t looked strong any time in the past year. Okay maybe a few times, but WWE loves to make them look weak. Why? Because WWE didn’t build them, more specifically Vinny Mac didn’t create them. See Sting for what happens to someone else’s creation. HHH, shovel, pin, and legend tarnished forever. If WWE breaks up Enzo and Cass they will fade away in singles competition. Rusev, one of the most promising guys on the roster was buried deep last night. Big Show let Rusev get in a little offense before hitting him with like a thousand finishers. It was sad to see such a young talent wasted to a remnant of the 90’s boom. If this is Show’s last mania then let Rusev win, Show get sympathy from the crowd, and then bask in the appreciation from the fans while Rusev exits the ring. It’s time for Big Show to retire. Sasha Banks beat Nia Jax which could have been an outstanding Wrestlemania win for her. Instead it was wasted on a throwaway PPV. What a shame. It was fine for what it was. Finally, I will say this because thinking about Fastlane makes me want to pour bleach in my eyes. If Vince doesn’t admit that his princess daughter is not capable of making the right decisions. If WWE doesn’t stop with the bad guy authority figures, especially Stephanie who puts herself over at the expense of the talent then it is curtains for RAW. They are barely hanging on to a 3.0 rating which is just embarrassing compared to what could be accomplished with people who know the business. Fix it WWE or fade away.